Rule Britannia! For the patriotic bingo enthusiast, there couldn’t be a better match than Blighty Bingo. Here’s a games room that celebrates everything that’s great about being British, for Anglophiles everywhere. Generosity is at the heart of everything Blighty Bingo offers, with plenty of daily offers and bonuses, free spins and a loyalty scheme fit for the Royal Family themselves. Oh, and there are absolutely no wagering requirements on Blighty Bingo winnings – what you win is yours to keep! All of the games and bingo rooms available at Blighty are powered by Dragonfish software, which just happens to be one of the most reliable software firms in the online bingo space. The result is that the action unfolds without a hitch; no buffering, no lagging and no delays which can frustrate the life out of many bingo lovers. 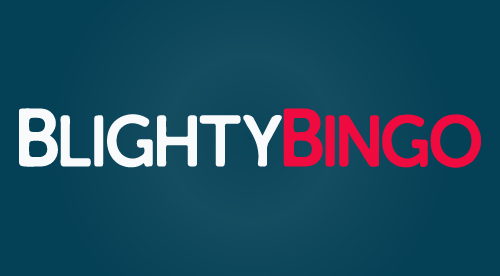 Blighty Bingo has also been fully optimised for mobile, which means that you can load the site and play your favourite bingo variants on your chosen device, from desktop to mobile and tablet. Unfortunately, at the time of writing there was no dedicated app to download. It’s a pretty serious oversight on the part of Blighty Bingo and their parent company 888, but right now there is no app of any kind. Whether the firm will look to rectify this in the near future remains to be seen. One of the biggest bugbears of online bingo aficionados is when a website is a disaster to try and navigate. It seems as though Blighty Bingo has taken that on board, as the site is genuinely one of the most attractive to look at and easiest to use. Everything is neatly spaced out – which tackles the common crime of bingo sites looking too ‘busy’ – and you can easily find your preferred games rooms and types by moving the sliding image left and right. You can search by room type, how much it costs to play per game (there’s a collection of free rooms, too), jackpot size and so on. Scroll a bit further down and you will see the slots collection neatly displayed. Another great thing about Blighty Bingo is that you don’t need to hire a private investigator to work out how to contact their customer support team: simply click the black tab on the right hand side of the page. There’s quite the catalogue of games at Blighty, with all bingo buffs catered for. From 75- and 90-ball variants of the great game to scratchcards, instant win titles and classic casino games, there’s plenty to keep you occupied in and outside of your favourite bingo room. You can play for free, or up the ante and try to win one of the jackpot prizes, which can be worth in the region of £10,000! And there is a mammoth selection of slots to try – more than 300, in fact – which have been cherry-picked from the leading software developers around. When you sign in to your preferred bingo room you will notice the ‘chat’ option appears on screen. Here you can shoot the breeze with your fellow Blighty Bingo players, sharing tips and tricks of how to take down the big prizes or simply gossiping about the stories of the day. This is quite a new brand, so the rooms perhaps aren’t as populated with players as they are elsewhere. But with an active social media presence, and the backing of gambling behemoth 888, we’ve no doubt player numbers will grow in the near future. You’ll be barely through the door as a Blighty Bingo customer when you are greeted with your first bonus: earn £70 worth of bingo tickets and 10 free spins on the slots simply for depositing £10 into your account. There are plenty of other promotions to sink your teeth into as well, and a loyalty programme that rewards you for doing that thing you love: playing bingo. Don’t forget, the boys and girls at Blighty also hand out daily free spins and game tickets – and they ask for nothing in return! Should you require the assistance of the customer support team, the good news is that they are available via a free helpline number. Alternatively, you can send them a message and they will endeavour to reply as soon as possible. UK players always love seeing the PayPal option available when it comes to making a deposit or withdrawal, and that is joined by MasterCard, Visa, Neteller and Entropay as methods accepted. Whether you’re a royalist patriot or you simply just adore playing online bingo, Blighty Bingo ticks so many boxes. With stacks of games, daily treats and rewards and a website that is a breeze to use, they might just become your new favourite bingo brand in the near future.